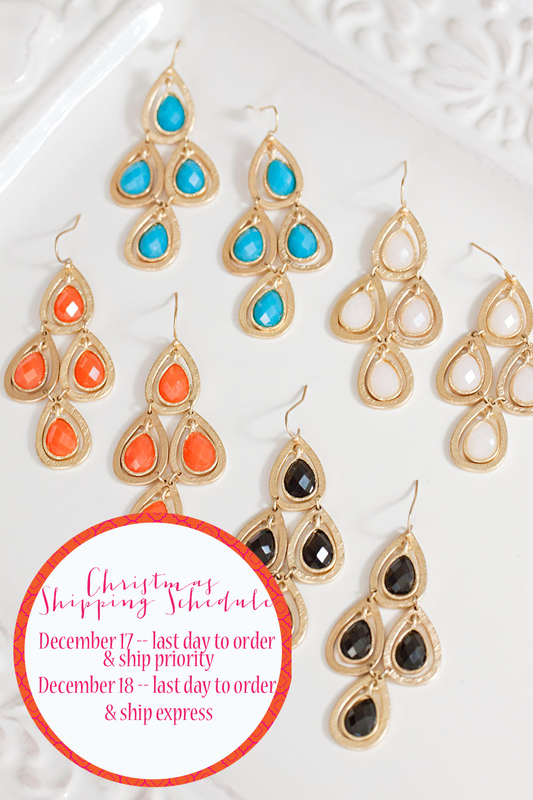 Santa’s big day is right around the corner and you still have time to order jewelry for the girlfriends on your list or sisters or mothers! Or even better–YOU! So, don’t delay. I do have a few styles selling out, but if there is any issue with your order you will be notified so don’t fret. Don’t forget if you sign up on the mailing list, you get 25% off your order and if you like us on facebook you get an additional 10% off your order. Both promos can be combined!! Double whammy! Happy shopping!